How to ensure safety when working with and around electricity? 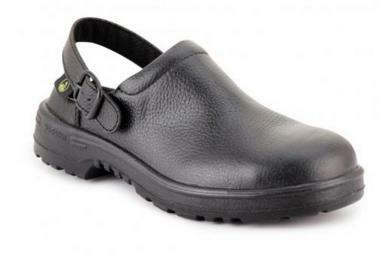 Safety footwear is the first thing that should come to your mind when talking about ensuring safety at your workplace. Why? Because your feet is vulnerable when you work in a hazardous environment. A small mistake can pose a threat to your life. Therefore, in this post we’ll tell you about footwear that will keep you safe when working with or around electricity. Finding the right footwear that will keep you safe in case you come in contact with electrical equipment might be a challenging task. So we’re here with the 3 common work boots or shoes that you can choose from. Have you ever realized how risky it is to work around electricity? Not being cautious or taking the safety measures can actually put your life to danger. This is why the non-conductive footwear is important as they’ll help you stay safe even if you come in contact with any electrical equipment. Such footwear is insulated to help ground electricity and they are made of steel or composite toe caps that prevent your feet from getting hurt while working. 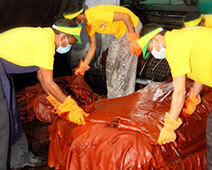 This type is perfect if your work demands handling of volatile and explosive materials. Though it is not resistant to electricity, it helps in dissipating the accumulation of static electricity from your body which can possibly be a hazard. Do you work in an environment that is sensitive to static electricity? If yes, this footwear is the ideal choice for you. It helps to dissipate the static electricity from your body and are resistant to electrical hazards from live circuits. Thus, to protect yourself in a volatile or electric environment, you first need to determine what your working environment demands to ensure protection. You can choose any safety footwear from those discussed above to prevent any life threatening accidents at your workplace. 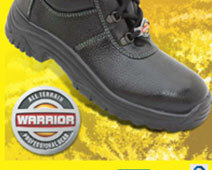 Want to buy superior quality safety shoes or boots? Browse through our wide range of products.